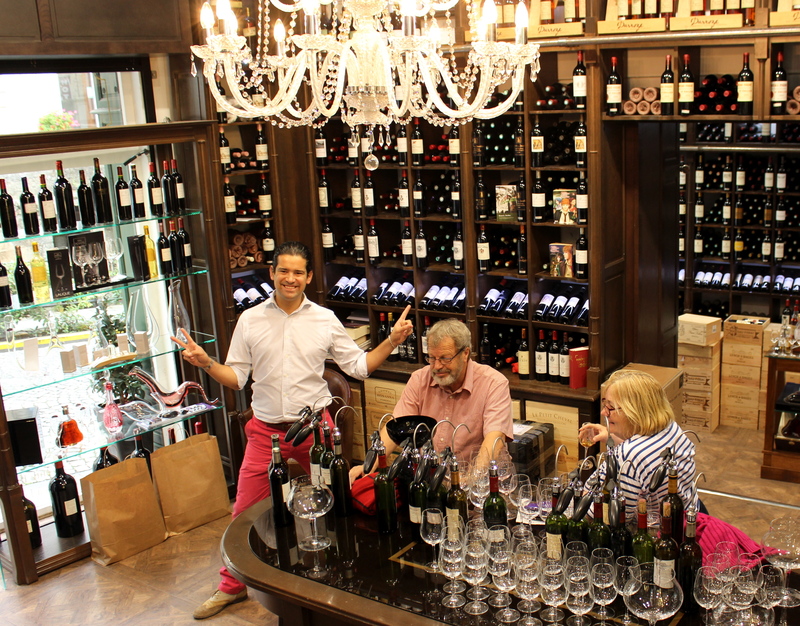 I’m not a wine connoisseur. 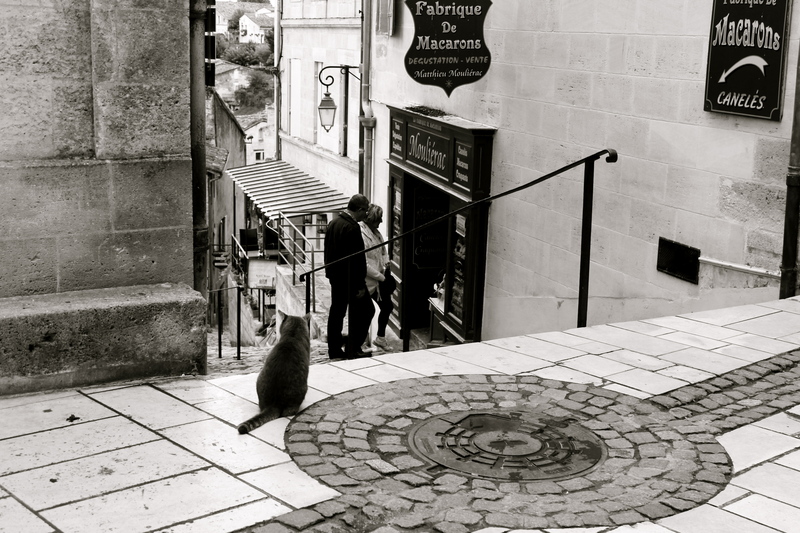 Is this a bad time to let that be known? 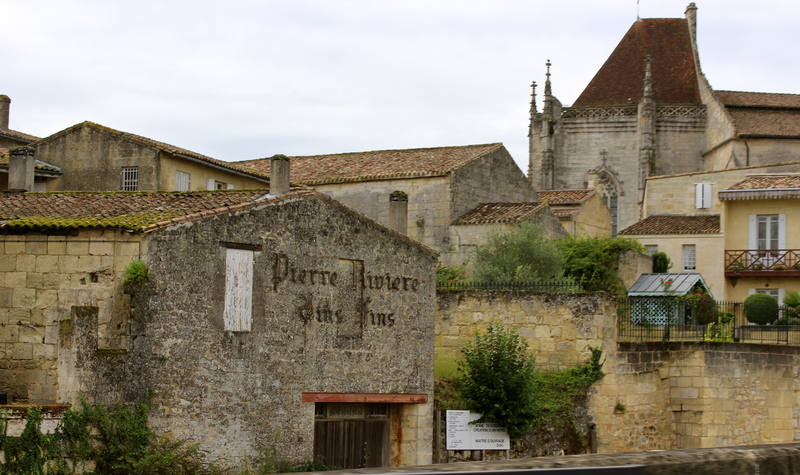 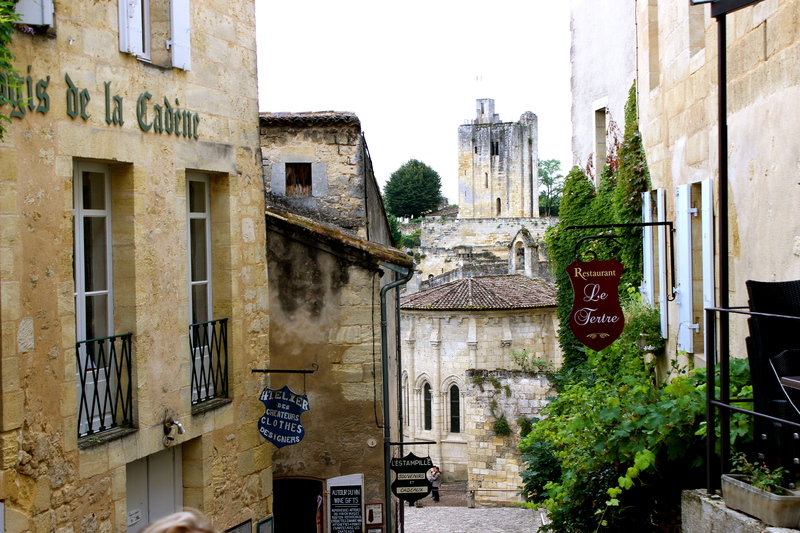 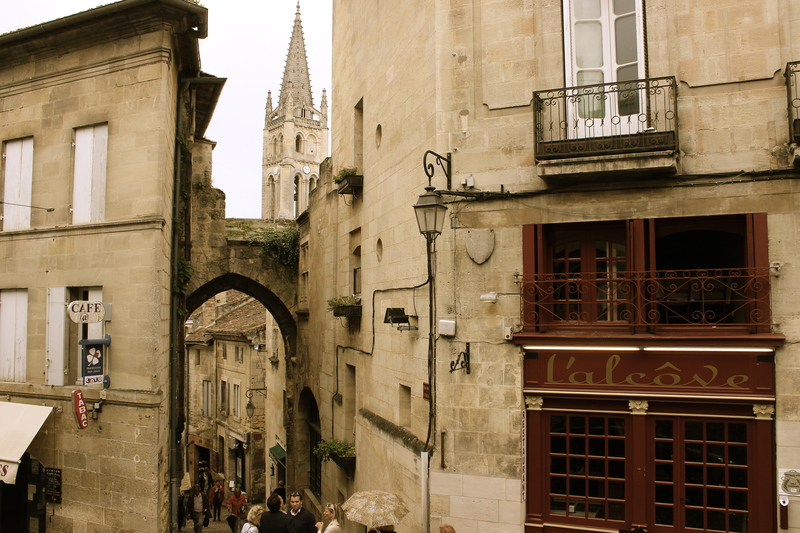 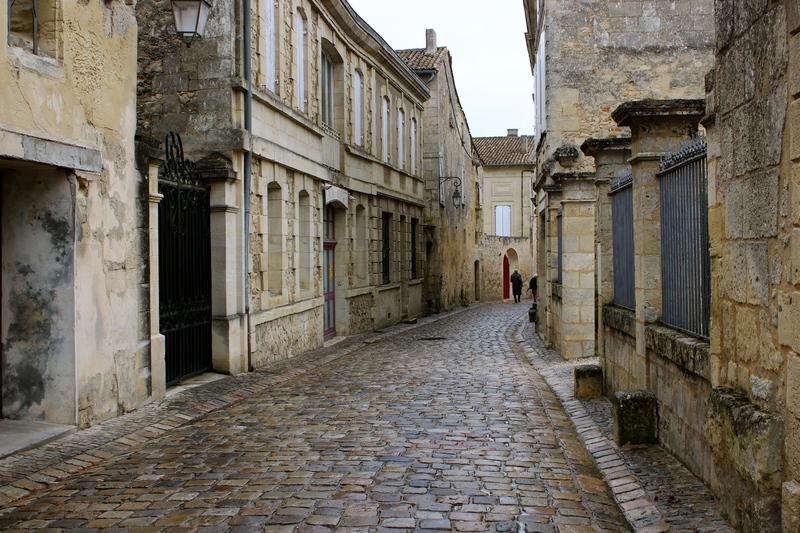 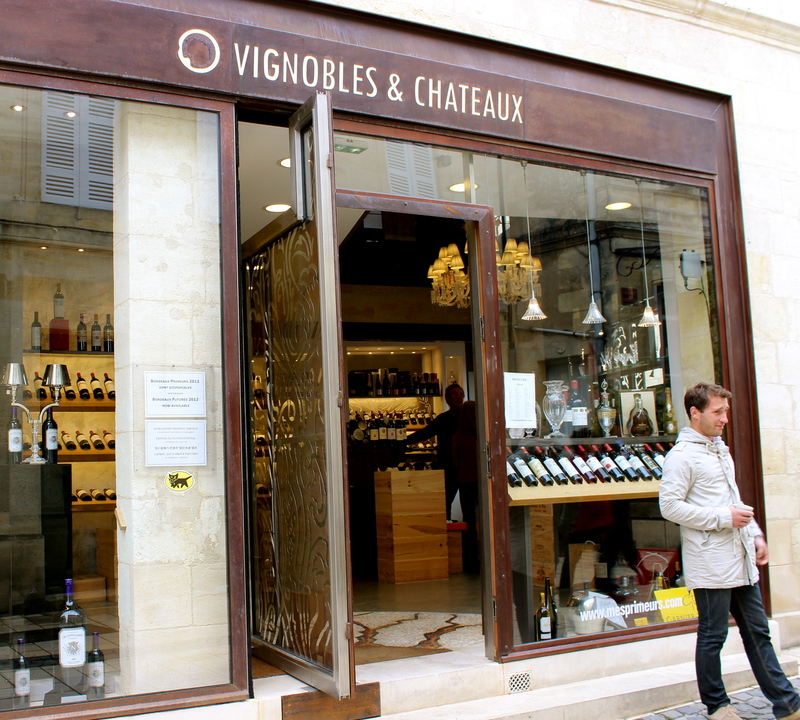 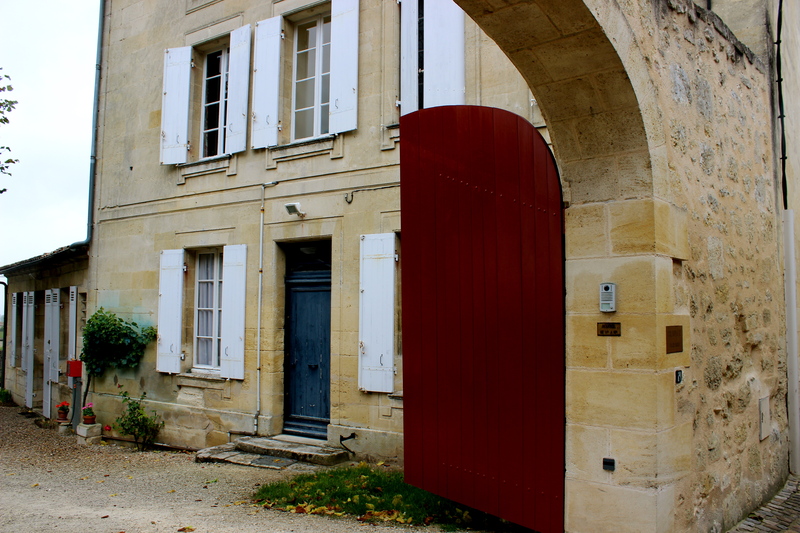 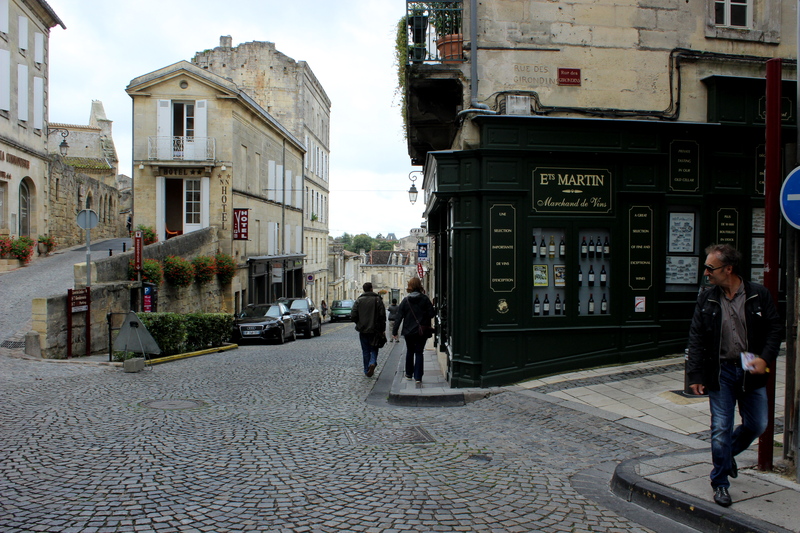 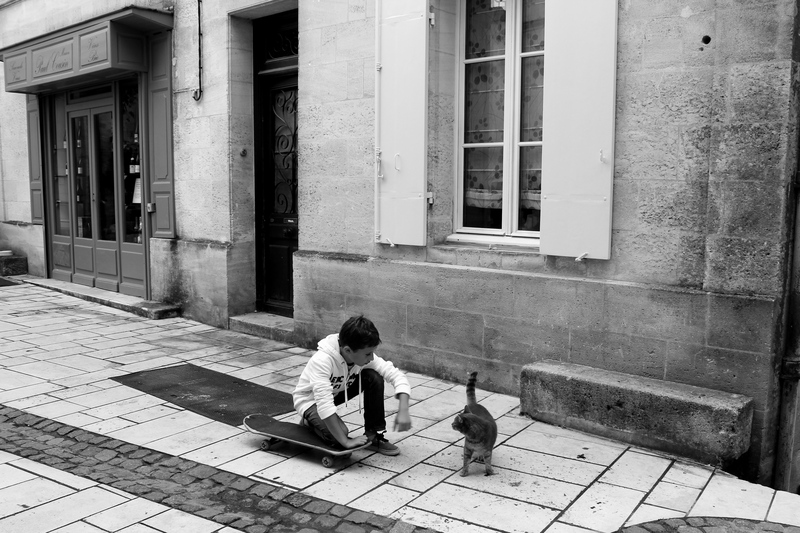 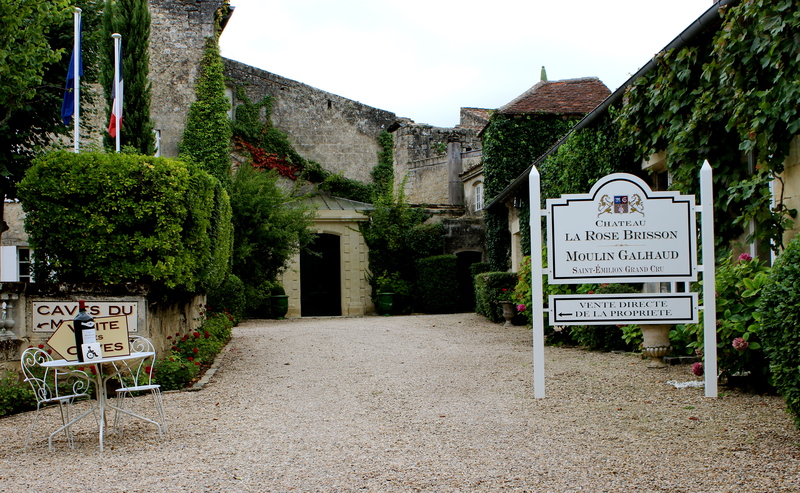 En route to Saint Emilion, the oldest wine town in the Libornaise region of Bordeaux? 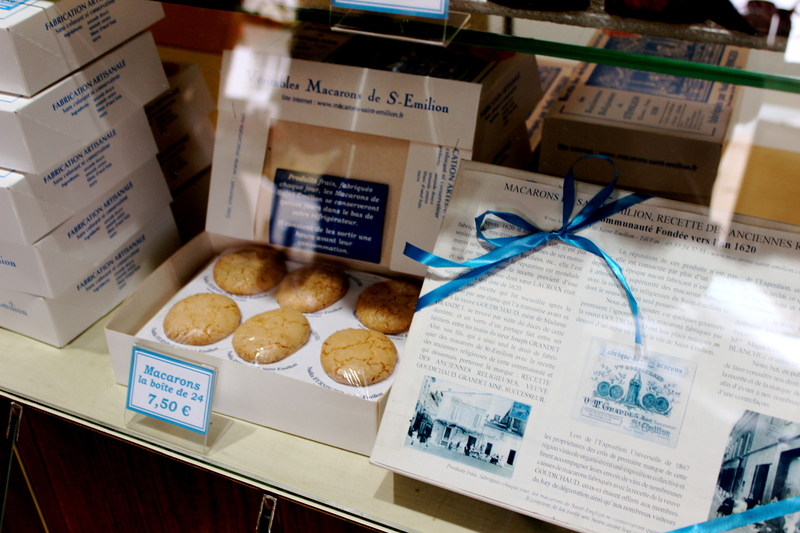 I suppose some bits and pieces are better kept to myself. 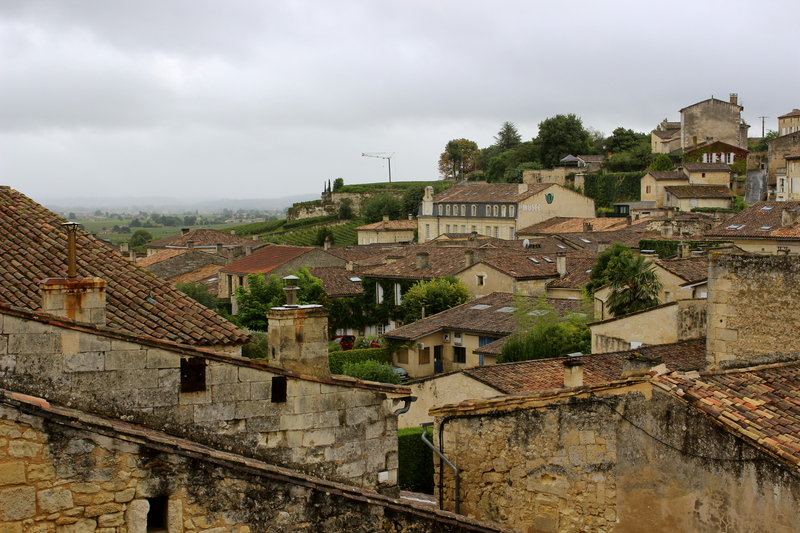 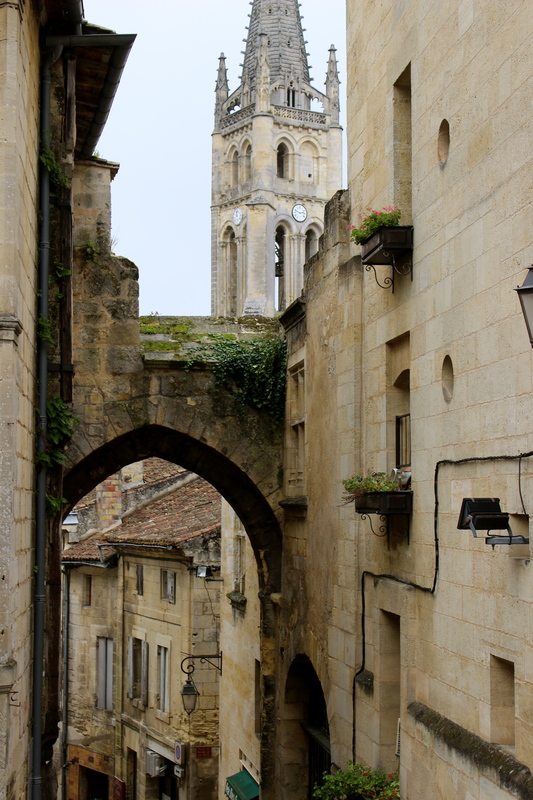 I plan to spend the day wandering and exploring Saint Emilion, a reputedly beautiful village, taking photos and, well this part goes without saying… eating a macaron or two. 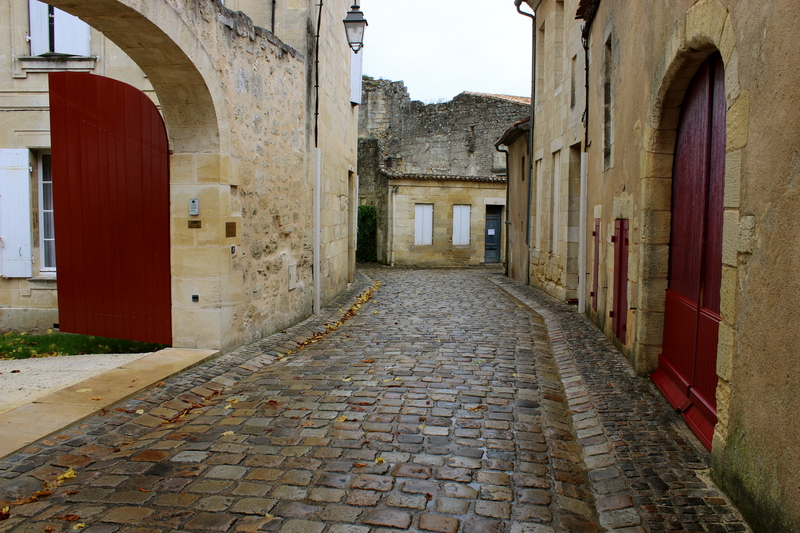 It is a dreary, cold, rainy day in mid-September. 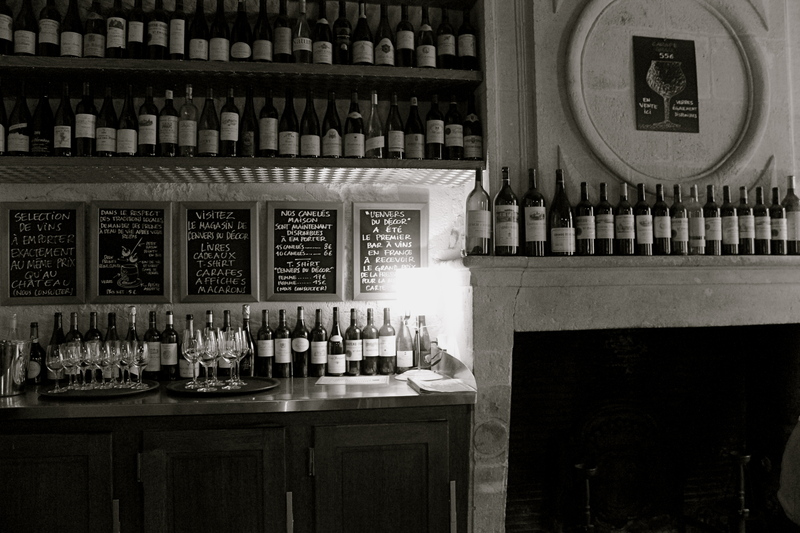 Oh how the seasons change so unforgivably, so harshly and decisively (the latter being a character trait I am not equipped with, you can attest to this if you have ever asked me to pick a restaurant and then, shudder to think, to make a menu decision). 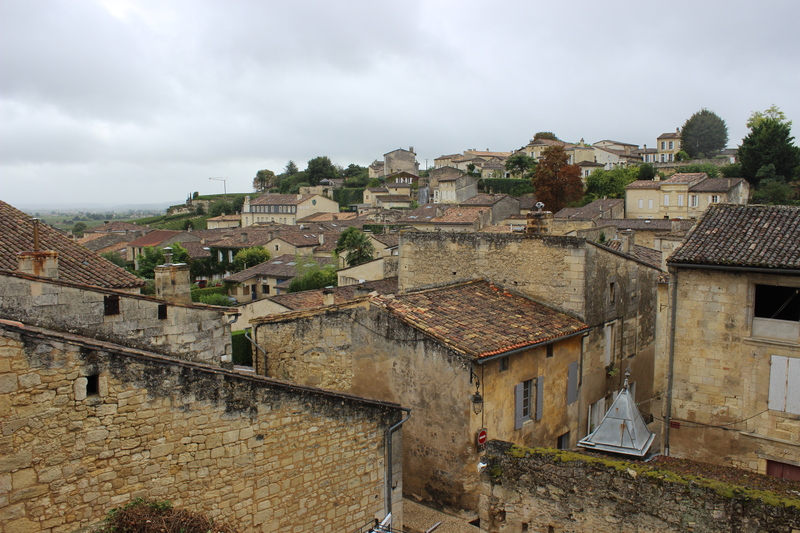 So I join the huddles of tourists hopping from one tchotchke shop to the next, from one wine tasting to the next (just kidding- I skipped those), and I take a tour of the caves and learn about the history of this tiny village on top of a hill crest. 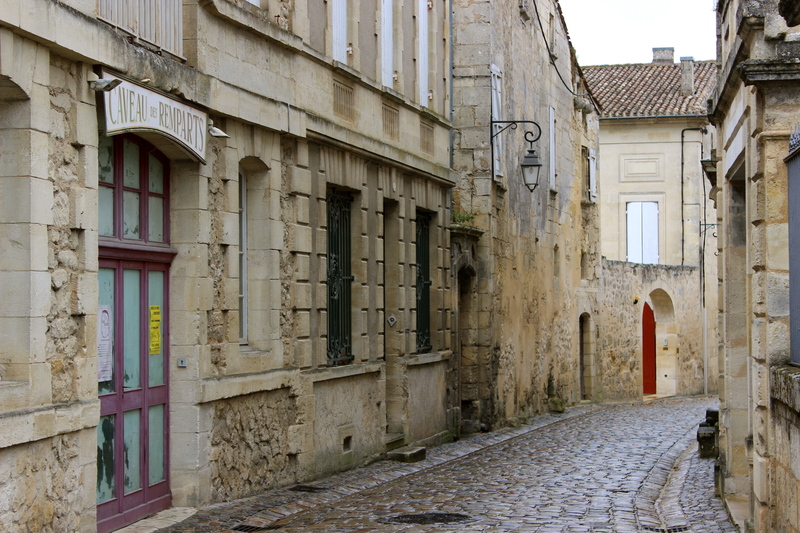 What everyone says is true indeed: it is an ancient, picture-perfect village, more so when the sun shines and bounces off of the cobblestones and onto the warmly colored buildings. 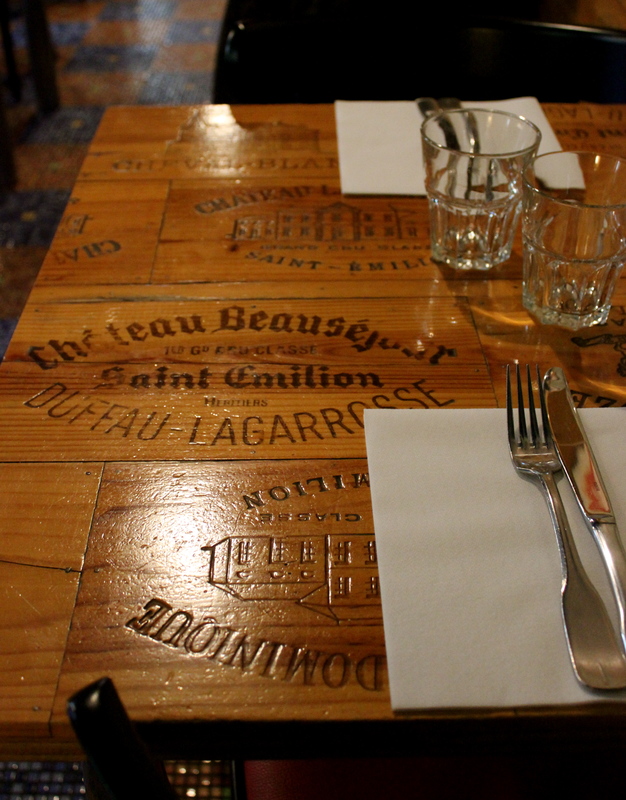 On to déjeuner. 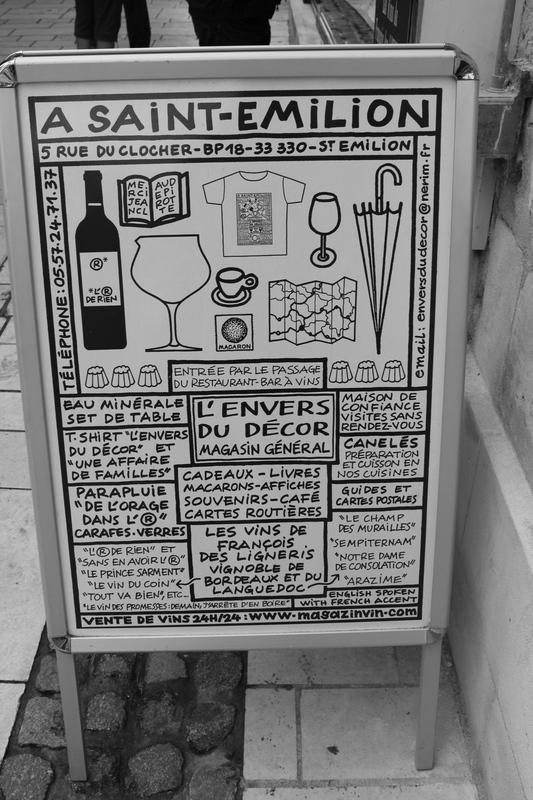 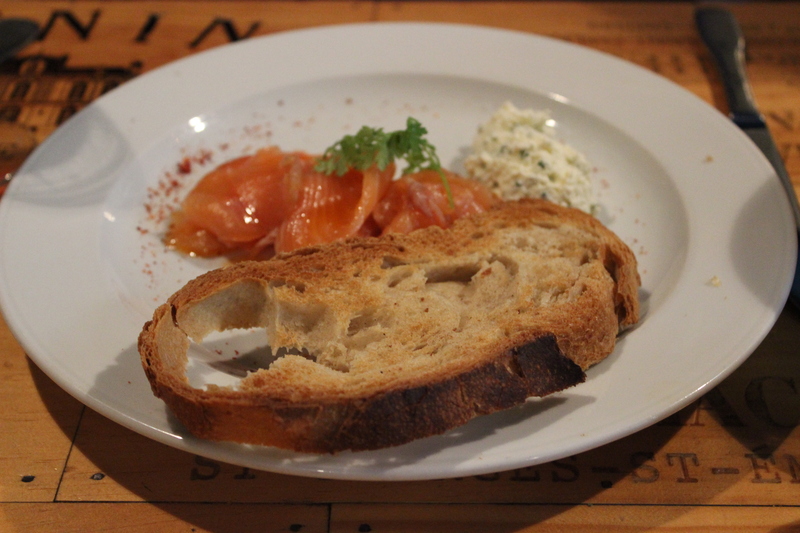 A quite excellent meal at L’Envers du Decor, an unassuming, rather cozy and jovial restaurant which I highly recommend to those who are looking for a relaxed atmosphere in town. 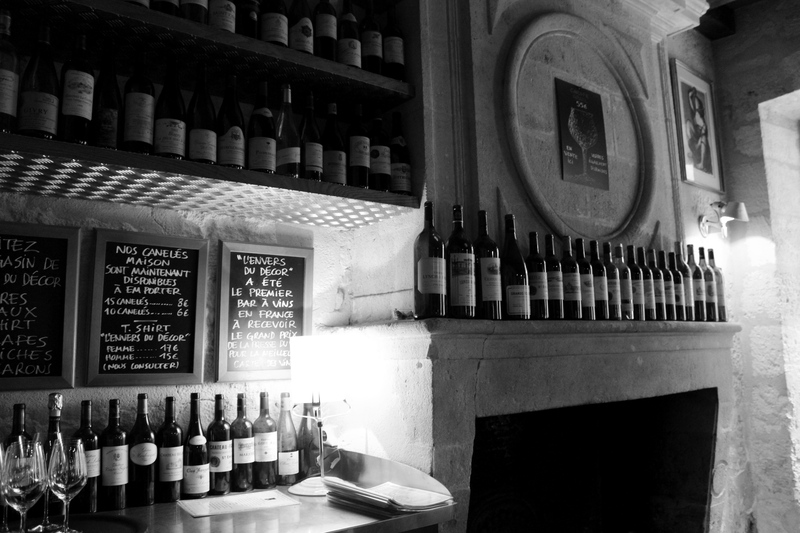 One might be put off by the rather loud and boisterous main room where the bar is situated, but venture to the second room down a quiet hallway, past the ‘pass’ where the delicately prepared dishes come through, and one finds the locals and those in the know. 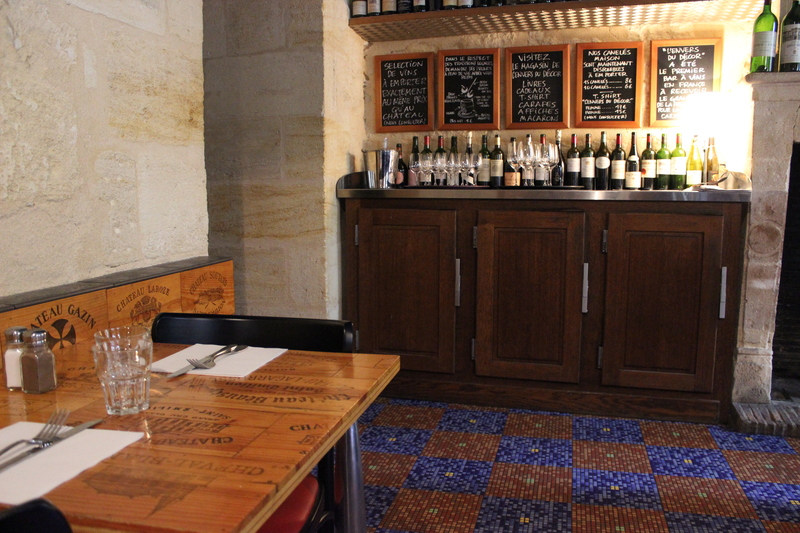 I adored the quirky decor; the tables and walls are made of reconstructed, glazed wine boxes, the floor a blue and red tile, and an oversized fireplace heralds the head of the room, surrounded by wine bottles from the area. 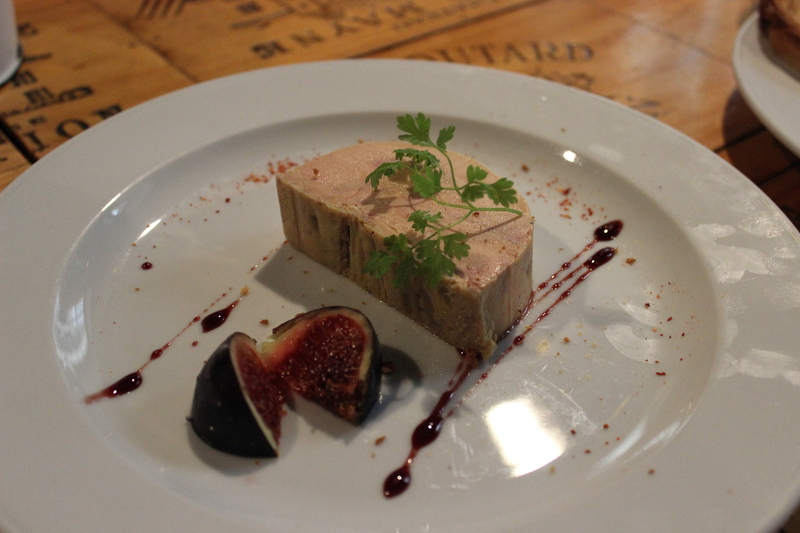 It is rustic yet warm, and the menu is a welcome mix of both light and classic Bordeaux cuisine. 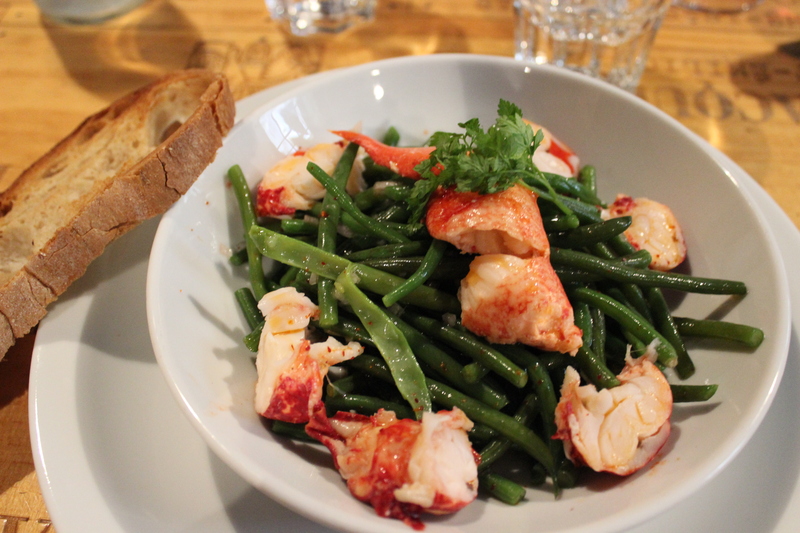 My lobster salad was simple and perfectly proportioned. 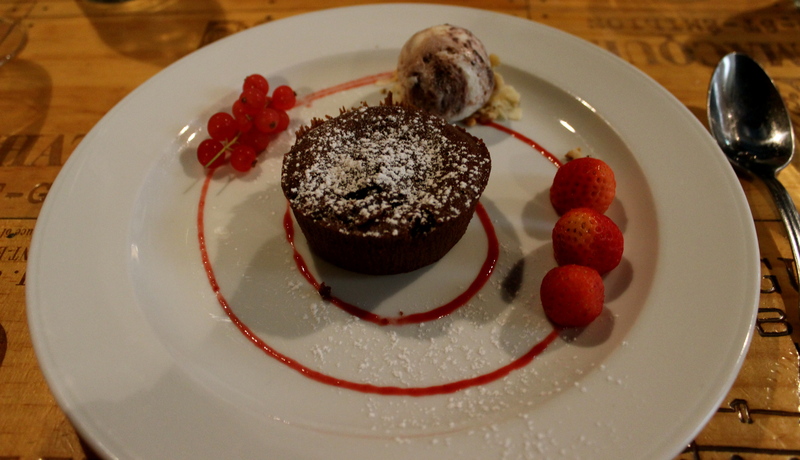 The bread divine as per usual, and the chocolate mousse cake with raspberry sauce a classic fin. 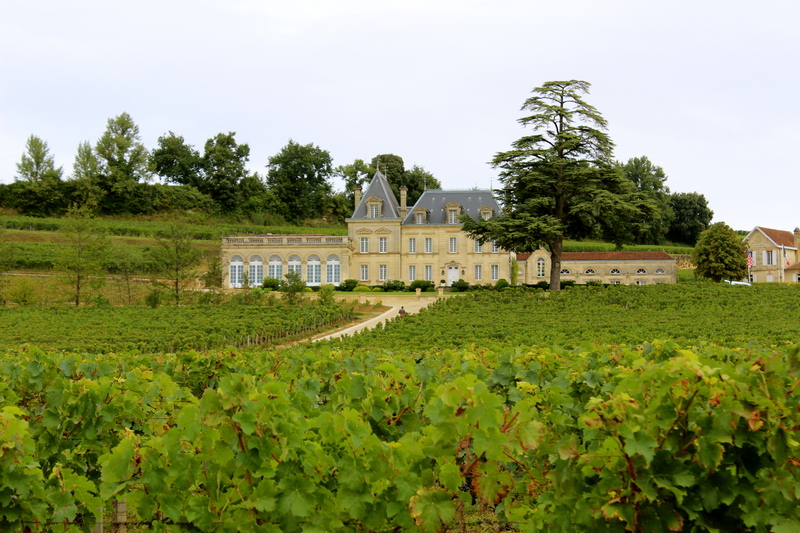 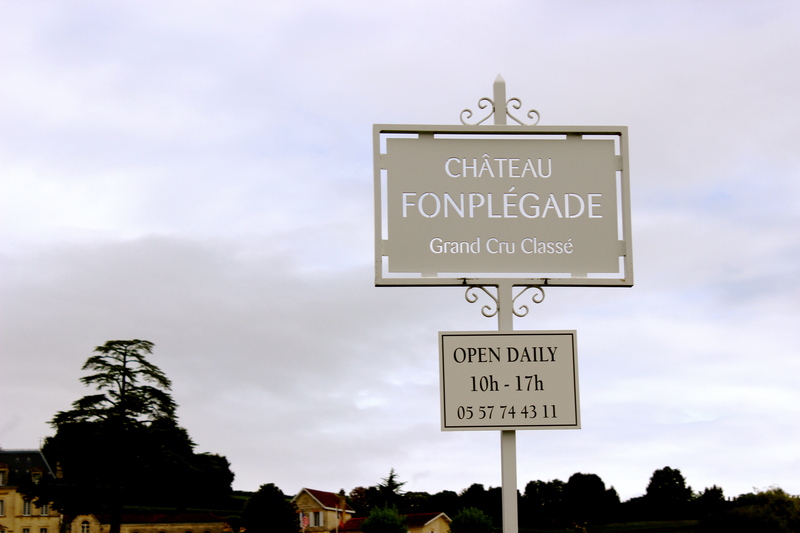 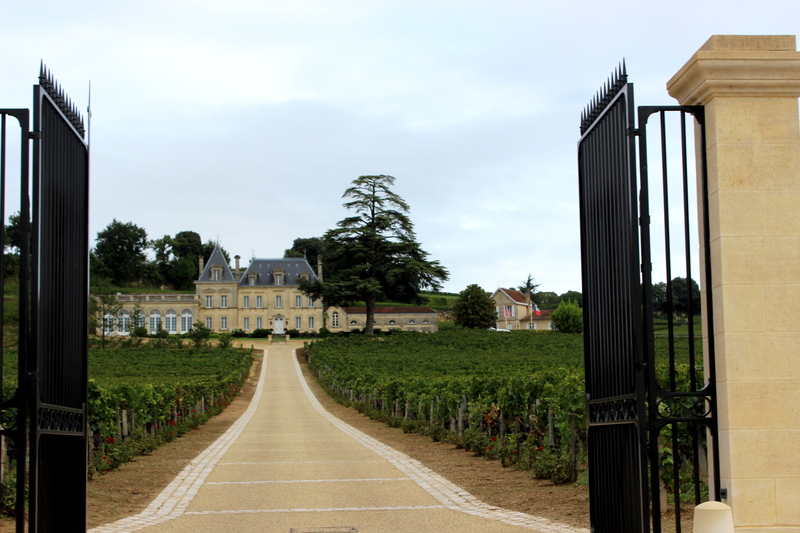 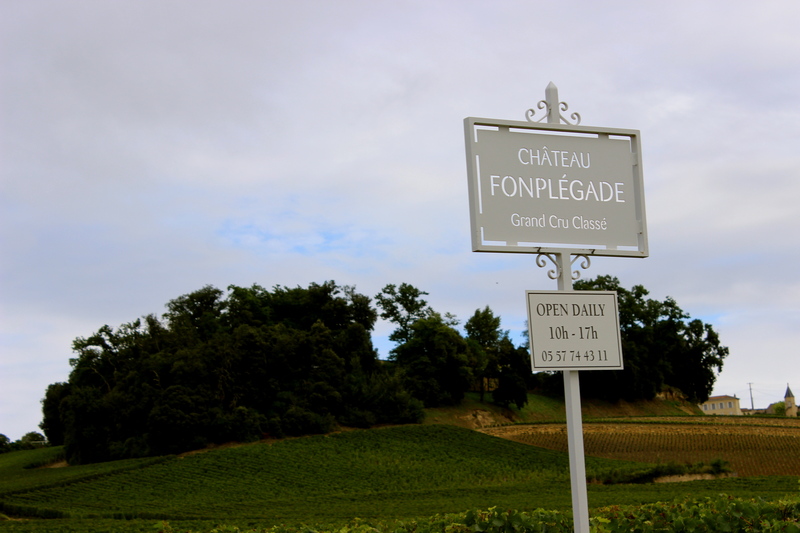 For those keen on visiting the masses of beautiful wineries surrounding the hilltop town, be sure to visit Chateau Fonplegade, quite possibly the most majestic property of the bunch and the most highly regarded, some might say. 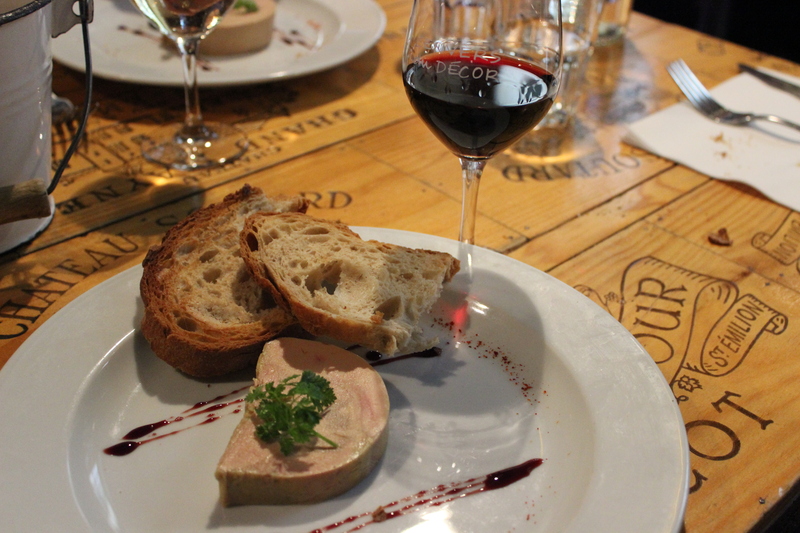 What would a French meal be without bread and pate?